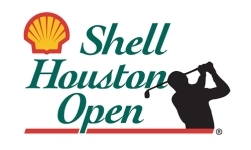 The Houston Open Picks Are Up! The picks and round one standings for this week's tournament are on the site. We chose 30 golfers. Youngsters Jordan Spieth and Jon Rahm are the favorites, chosen 13 times each. The Man in Orange made it on to 12 teams. Phil and Henrik are on 10 teams each. Rose made the cut for 9 of us. J.B. got the nod 7 times. Adam Scott shows up on 5 teams. Russell Henley is a 4-bagger. Patrick Reed is the lone trey. The deuces include Lovemark, Cabrera Bello, Hoffman, Walker, Kuchar and Patrick Cantlay. Fourteen unique picks. Oliver and Chris clearly lead with 5 each, but each of them only have 2 of those 5 playing. Jordie, Dave, Mike M. and Brian G. have one each. The remaining 10 of us found nothing unique in Houston. The NCAA Tournament pool has been decided before the final 4. It came down to the UK/UNC Regional Final game. If Kentucky had won Dan would have won the pool. They didn't and Steve, who picked North Carolina to win, grabbed the glory and the cash.